Watson Wu is a sound designer and recordist working in the US film, television and video game industries. A few years ago he was approached by UK sound effects supervisor Paul Davies to organise and record firearms for the 2014 historical thriller '71. The film, which was nominated for a BAFTA in addition to winning numerous festival awards, follows the story of a Gary Hook, a British soldier (played by Jack O'Connell) who was stranded in Belfast after a riot in 1971 (hence the title). Wu wrote to us recently, describing his experience with RØDE microphones on this project. 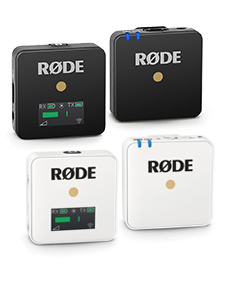 When I record firearms, I use RØDE's NTG3, M1 and NT5 microphones. Once a budget was established for the guns, I made numerous visits to American firearms owners. Being in the US, it was quite tricky to acquire older European firearms that matched the pre-1971 era (which I call pre-Glock or pre-plastic gun days). However, after searching, I was able to track down a number of owners who kindly allowed me to rent their authentic weapons for my field recordings. After that, I booked my favourite private shooting range - located right in the middle of nowhere, Florida. Thankfully, the production studio had shared clips with me containing the gun battle scenes from '71, which made it easier to judge where I would place my mics - for the angles, distances and so on. I knew how much gear I would need to bring along, too, which certainly beat the usual 'stuff as much in as possible' scenario that we so often use for filmmaking. For this specific project, I opted to do an 8-track session. When I record firearms, I use RØDE's NTG3, M1 and NT5 microphones. They're built tough, which means you just can't kill them with accidental drops, harsh weather and, of course, the abuse they suffer from being next to ridiculously loud gunshots. The NTG3, in particular, is the 'all in one' shotgun mic for field recording gunfire. While it sounds great from all angles, distances and levels, this time I chose to place it as close as 3-12 inches from the weapons. You see, this is where the mic really shines, whereas others will just capture unusable distortions. Why position so closely? It is to capture the mechanical sounds from semiautomatics and explosive sounds from revolvers and rifles. When you watch '71, many of the close-up mixed sounds you hear are from my NTG3! The M1 and NT5 I used a little differently. The relatively inexpensive NTG3, M1 and NT5 still blow me away with how fantastic the sound quality is compared to price. Both of these quality recording microphones were used to capture incoming shots (the sound of being shot at), so I popped them about 80 feet northeast of the shooter's perspective. As the M1 is a cardioid with short distance sensitivity, it was great for capturing the overpowering loud and tight sounds blasting from both of my rented firearms. 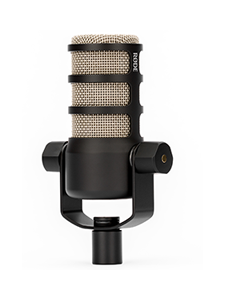 Though the NT5 is also a cardioid, this condenser mic is more sensitive, so was better to capture the sound in a wider pattern. It's taken me a lot of experimenting to work out that these are the best placement for this trio of RØDE microphones. 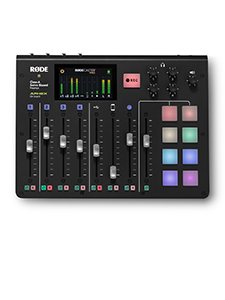 This way, I have plenty of options with my mixes, where most other recording equipment would become distorted, or annoy the ears. If you're thinking about recording similar types of sound effects, I highly recommend all three of these RØDE mics - you can really feel the quality when handling them. In my career, I've used over a hundred different microphones. Many of these cost thousands of dollars, yet the relatively inexpensive NTG3, M1 and NT5 still blow me away with how fantastic the sound quality is compared to price. Plus, the RØDE Blimps are fantastic on a windy day. Want to hear my work in '71? You can purchase it through Amazon, iTunes, or at your local DVD store.